Fire prevention week was established to commemorate the great fire of Chicago, the tragic fire of 1871 which killed more than 250 people, left 100,000 people homeless, destroyed more than 17,400 structures and burned more than 2,000 acres. The fire began on 8 October, but continued in most of its damage at 09 October 1871. Let us help you get prepared with all of your fire safety materials for fire prevention week! Contact me to order today, and like always there is no need to pre-pay if you run an established fire program or have a company/organization that wishes to order fire prevention week promotional products to educate the public on fire safety! This offer is also available to any training officers who might need logo imprinted products for fire fighters in the event of training. Please see our product catalog for our full line of promotional products in the "Products" link above. Click USA MADE under the "Products" list to see all of the products actually MADE not assembled in the USA so you can support our local american factories! I have listed some popular products our customers have purchased specifically for Fire Prevention Week below, click on any of the products for detailed information and to order today! Check out all of our other fire safety products by viewing our product catalog at the top of the page! These are just a few popular fire prevention week products we carry! Changes color with the heat of your hand. Severe weather conditions may effect the mood change. This fire truck shape stress reliever is not only a fun way to relieve tension and stress, but at the same time promoting fire safety to the community! All while supporting your local firefighters! Products are not intended for use by children or pets. They may present a choking hazard to children under 3 years of age. Perfect for direct mail programs! Fire Safety is a critical lesson for everyone to learn, even children. With this Fire Safety coloring and activity book, children learn valuable on smoke detectors, and how dangerous fire can be. This coloring book has 16 pages of coloring to make these lessons fun. Recommended for children ages 3 and up. Ideal for firehouses, fire, police and safety programs, schools and day care centers. Fire Safety is a critical lesson for everyone to learn, even children. Every year countless fires could be prevented by following some helpful tips. With this Learn About Fire Safety Sticker Book, children learn about smoke detectors and how dangerous fire can be. Featuring a full color cover, a page of full color stickers for use throughout the book and 8 pages of coloring & activities. Recommended for children ages 3 and up. Ideal for any fire department or safety program, schools, day care centers and police. Make it Easy -- Make it a Fun Pack: any sticker book or coloring book conveniently packaged with a 4-pack of crayons in a sealed poly bag. No assembly required. According to popular legend, the fire occurred when a cow - belonging to Ms. Catherine O'Leary - kicked over a lamp, tighten first the barn, then throughout the city on fire. It is likely that you have heard some version of this story yourself; people have been blaming the great fire of Chicago in the cow and the Mrs. o ' Leary, for more than 130 years. But recent research by the historian of Chicago Robert Cromie has contributed to discredit this version of events. Like any good story, the case of the cow has some truth in it. Almost certainly the great fire started near the barn where Ms. O'Leary maintained their five cows milking. But there is no evidence that O'Leary was in the barn when burst fire - or that a cow jumpy caused the fire. Ms. O'Leary she swore that she had been in bed early that night, and that the cows were also crammed the night. But if a cow was not to blame for the great fire, what was? Over the years, journalists and historians have offered plenty of theories. Some blamed the fire a couple of neighborhood boys who were near the barn sneaking cigarettes. Others believed that a neighbor of the O'Leary may have started the fire. Some people have speculated that a fiery meteorite may have fallen to Earth on 8 October, from several fires that day - in Michigan and Wisconsin, as well as in Chicago. The week's largest fire was to wreck havoc on unprepared families. While the great Chicago fire was the best-known fire starts in this section two days burning, was not the greatest. This distinction goes to the fire in Peshtigo, the most devastating fire in American history. The fire, which also took place on 08 October 1871 and roared through Northeast Wisconsin, burning down 16 towns, killing 1,152 people and scorching 1.2 million acres before end. Historical accounts of the fire said that the fire began when several railroad workers clean earth for clues unintentionally started a brush fire. In a short time, the quick flames were whipping through the area as a tornado,' some survivors, said. It was the small town of Peshtigo, Wisconsin, which suffered the worst damage. Within an hour, the entire city had been destroyed. This should let you understand how important Fire Prevention is and to be prepared for these fires with proper Fire Safety! Those who survived the Peshtigo and Chicago fires never forgot what had been both fire produced countless stories of bravery and heroism. But the fire also changed the way in which firefighters and Government officials conceived in fire safety. On the 40th anniversary of the great Chicago Fire, the marshalls of the fire Association of America of the North (today known as the international Fire Marshalls Association), decided that the anniversary of the great fire of Chicago from here on should be observed not with festivities, but in a way that keeps the public informed about the importance of fire prevention. The Memorial grew gradually official over the years. 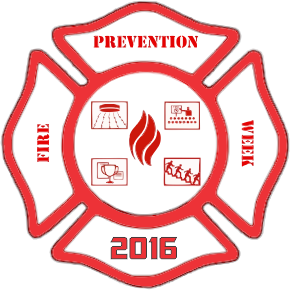 In 1920, President Woodrow Wilson issued the first proclamation of national fire prevention day, and since 1922, fire prevention week has been observed on Sunday for period of Saturday in which falls on October 9. According to the national archives and the records of library information management center, fire prevention week is the longest running health and observance of the security in the registry. The President of the United States has signed a manifesto proclaiming a national observance during that week every year since 1925. Fire protection is the study and practice of mitigating the effects of unwanted potentially destructive fires. It includes the study of behaviour, compartmentalisation, suppression and fire research and its related emergencies, as well as research and development, production, testing and implementation of mitigation. In structures, whether they are land-based, offshore or even ships, owners and operators are responsible for maintaining its facilities on a basis of design that has its roots in the laws, including the local building code and code of fire which are applied by the authority in that jurisdiction. Buildings are to be manufactured in accordance with the version of the building code that is in effect when a request for a building permit is made. Building inspectors check the compliance of a building under construction with the building code. Once completed the construction, a building according to the current code of fire, which is executed by a local fire department fire prevention officers must be maintained. Fire fire emergencies, firefighters, investigators and other so-called fire prevention personnel to mitigate, investigate and learn from the damage of a fire. Lessons learned from fires are applied to the creation of both building codes and fire codes. Fire prevention week teaches families the importance of a fire safety and fire protection. Fire Prevention is a function of many fire departments. Fire prevention aims to educate,raise awareness, and encourage the population to take precautions to prevent potentially harmful fires and be educated about the survivors. It is a proactive method of reducing emergency and damage caused by them. Many fire departments have a fire prevention officer. Some of different ideas for fire safety awareness and prepardness giveaways are fire safety posters to give to family members in your community. We also love putting different fire prevention messages on any of the products you see here at Prevention Promos. Let us design your next fire safety education product!! We can put your favorite fire safety tips on any promotional items, such as fire extinguisher stressballs or coloring books that will help teach fire safety for kids! Practice Fire Safety against fires and prevention and check smoke detector batteries monthly to ensure proper fire protection!! Do you know that if a fire starts at home, the normal response time is that you have only about two minutes to escape? The most effective way to protect yourself and protect your home from fire is to identify and eliminate the risk of fire. 60 percent of all fire deaths inside of a house, takes place in homes without working smoke alarms. During a home fire, smoke alarms and a plan of escape from a fire that has been practiced regularly work, CAN save lives. Install smoke alarms on each level of your home, inside bedrooms and outside areas sleeping. Test smoke alarms once a month, if they are not working, change the batteries. Talk to members of the family a plan exhaust fire and practice plan twice a year.